Sam’s main area of practice is in children’s law. She is regularly instructed in both private and public law cases. She represents all parties in complex cases involving allegations of sexual abuse or where there are psycho-sexual factors in issue, non-accidental injury, psychiatric ill-health, intractable contact cases and where shared residence is in issue. Sam’s practice increasingly reflects her interest in the law relating to surrogacy, reproductive technologies and co-parenting arrangements. She also appears in leave to remove applications and domestic and international adoption cases and is a member of chambers’ international movement of children group. Sam has an interest in forced marriage and the children’s law cases which arise in that context. Sam often gives lectures and seminars to lawyers and other professionals. Her lectures include talks on the subject of evidence gathering in respect of sexual abuse (LexisNexis), recent developments in the area of private law (LexisNexis), adoption and placement orders (4pb and Family Law Week). She has recently given seminars on routes to parenthood under the HFEA 2008 (Resolutions London) and in respect of international adoption and surrogacy. Renowned family barrister in high demand due to her deep knowledge of public and private law cases, both at home and abroad. 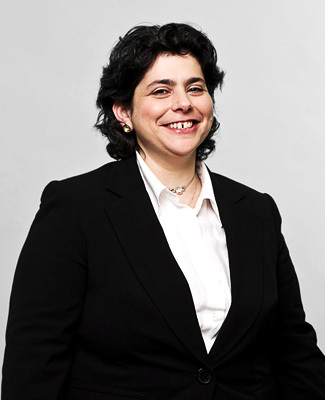 She exhibits strength in the most serious public law cases, including those concerning issues of alleged radicalisation and sexual abuse, and also has experience in private law issues relating to non-traditional families and surrogacy. Renowned family junior in high demand due to her deep knowledge of public and private law cases, both at home and abroad. She exhibits strength in the most serious public law cases and private issues concerning non-traditional families and surrogacy. Renowned family junior in high demand due to her deep knowledge of public and private law cases, both at home and abroad. She exhibits strength in public law cases concerning non-traditional families and surrogacy. A sexual abuse case expert. Highly regarded for her willingness to take on the most challenging cases in both the public and private children law sphere. She has particular expertise in cases with complex medical issues and those concerning alternative family structures. Tackles a broad range of public and private law children work, including cases involving complex issues of surrogacy, non-accidental injury and the examination of complicated matters of medical evidence. Draws much praise for her work in complex care cases, including those matters concerning sexual abuse and parents/children with mental health problems. Sam King Provides ‘clear and focused advice’. Sam King, who is ‘pre-eminent in the field of public law’. Samantha King, who frequently acts for local authorities in care cases. Sam King is ‘outstanding’, ‘especially in public law’. Samantha King has been around the block in relation to both private and public law children cases, and is recognised for her exemplary work in care proceedings. Chambers and Partners say Sam is “experienced and extremely competent” in child care cases. “Really getting into the papers” and “good with difficult clients,” she also has an interest in international child abduction matters.